COCHRANE, Alta. -- RCMP say four hikers who were overdue from an outing on a popular trail in Alberta's Kananaskis region, southwest of Calgary have been found safe and found. Cochrane RCMP received word late Sunday night about a group that had not returned from a day trip on the Prairie Mountain Trail along Highway 66. 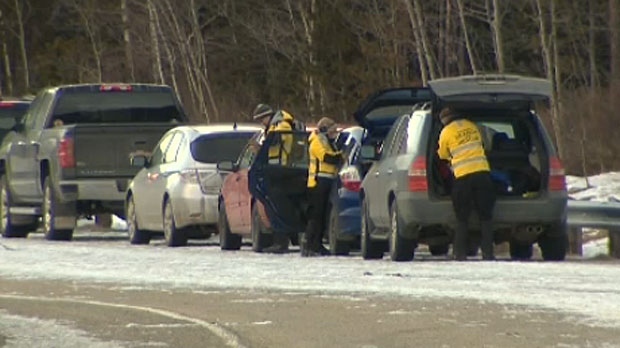 The travellers, who had various levels of hiking experience, left Calgary late Sunday morning and had planned to return around 4:00 p.m.
Family members contacted police when the group didn't show up and the hikers' vehicle was later found undisturbed in the trail parking lot. An RCMP news release say all of the hikers were located at 9:25 Monday morning and that all were "safe and with no injuries". The Calgary police helicopter had been called out early Monday morning to help with the search.